DANG BUT IT’S BEEN A MINUTE. Hope y’all have been well! I’ve been keeping busy on a lot of fun projects, but am hoping to start occasionally posting comics here in the future! What a cool idea that is in no way a lie! However, if you’re still craving more of that sweet sweet Caldwell Content™, might I recommend What Should We Draw? It’s a new podcast I do with my pal Nathan where we come up with an idea for a drawing or comic every week. You can listen to it here, or subscribe on iTunes here! Oh wow, a new Loldwell! I finally gave up on Pain Train and moved it to the “no longer updated” section of my webcomic bookmark folder just now, and while I was down there I decided to check if there was a new Loldwell… AND THERE WAS! 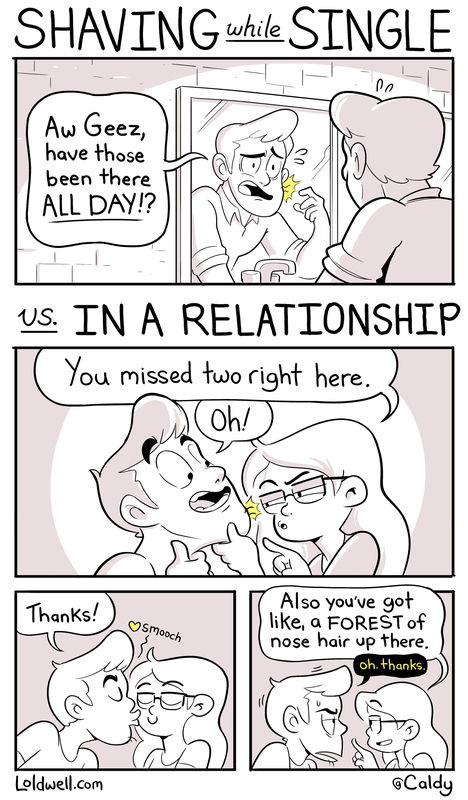 Also, fun fact, I had no idea this comic was by Caldwell Tanner of Drawfee. I was aware that the artist’s name was Caldwell, but it’s been so long since the comic has been updated that I didn’t make the connection, only having found Drawfee in the last year. The More You Know. I’m excited to hear you didn’t give up on Loldwell, but even more excited you’re aware of Drawfee! It’s my new baby, and I’m very proud of where it’s going. Thanks for sticking around!